Put simply, cognac is brandy from the Cognac region of south-west France – but how do grapes, geography, time, craftsmanship, wood and weather all come into it? 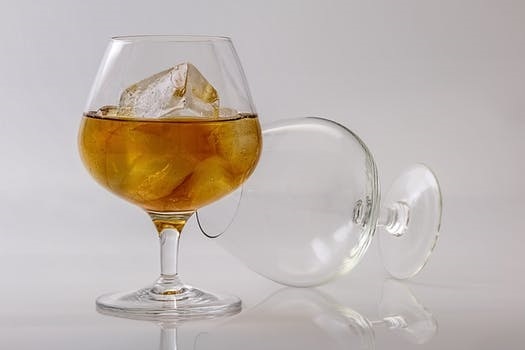 As the people of Cognac in south-west France will proudly tell you, all cognac is brandy – but very little brandy is cognac. Brandy, in fact, needn't even be made from grapes, since the term refers to any distilled spirit made from fermented fruit juice. While grapes are often the starting point for brandy, there are very nice versions made from apples, pears and other fruits. Think of calvados made from apple and pear, or the plum brandy nursed by a lone woman in a celebrated 1870s bar painting by Édouard Manet. There are excellent fruit brandies made beyond France too, such as pálinka made in Hungary. So what’s so special about cognac? First, there are the grapes – specifically, the ugni blanc variety which produces high acidity wine perfect for distillation. Cognac can only use grapes from six different sub-regions, with those from Grande and Petite Champagne – known as Cognac Fine Champagne - most coveted. The wine for cognac must be distilled twice in copper pot stills, with the resulting eaux-de-vie grape spirit then aged for at least two years in French oak barrels. Cognac’s warm, humid climate combines with a chalky soil whose porous nature allows the vine roots to burrow freely deep into the earth to seek the best sustenance. A permeable subsoil helps retain moisture in dry weather. The result is exceptionally aromatic grapes which make very fine eaux-de-vie, offering the best ageing potential. Talk of ageing, cognac epitomises the merit of taking things slow. While cognac must be aged for at least two years in French oak (at which point it is already dubbed VS for Very Special), that is just the nursery slopes. At least four years in oak are needed to earn the label VSOP (Very Superior Old Pale), while XO (Extra Old) tells you a cognac has communed with the oak for at least 10 years. Rémy Martin encapsulates the wonderful specificity and savoir-faire of cognac. A family company since being founded in 1724, it is the only cognac producer created by a wine-grower. More importantly, it is the only house making cognac exclusively from Cognac Fine Champagne. Rémy Martin also stands alone in distilling on the lees, keeping the residual yeasts from the wine-making in the pot to maximise the fullest range of fruit, floral and spice notes from what it calls “exceptional grapes from exceptional soil”. So be sure to ask for Rémy, not brandy.